Nothing says luxury like a car stacker that uses the latest German technology to create a practical yet stylish space saving solution. If you’re looking for a premium and functional parking solution, trust KLAUS Multiparking to deliver. 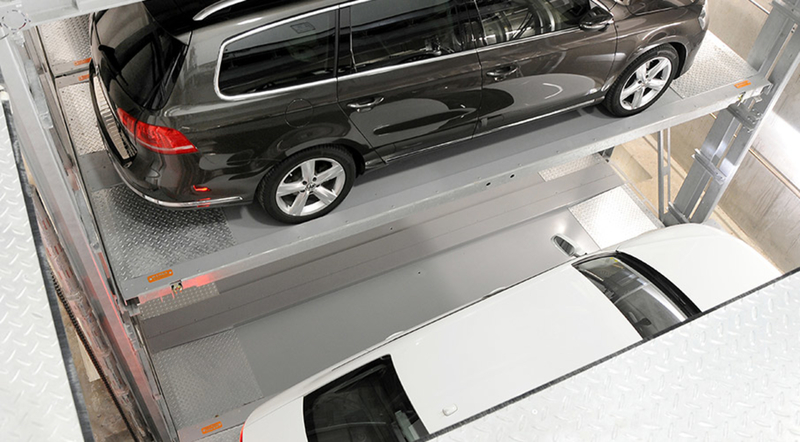 With stylish functional design, strong steel construction and smooth-as-silk mechanics, our range of car stacker solutions for private residents are as impressive as they are practical. We can offer you a bespoke parking solution that is unique to your property and custom designed to fit your lifestyle, whether that be a turntable, stacker, or a completely seamless underfloor installation. Our team of designers will work with you to build a car parking solution that enables you to park multiple cars without compromising on space. We’ll provide training to ensure you and your family enjoy the easy-to-use features. And with our service and maintenance plans, you can be confident that the technology will never let you down.